What Shopify Triggers and Actions are Supported? New Product - Triggers when a new product is added to your Shopify store. New Abandoned Cart - Triggers whenever a cart is "abandoned" (only open carts) (with line item support). 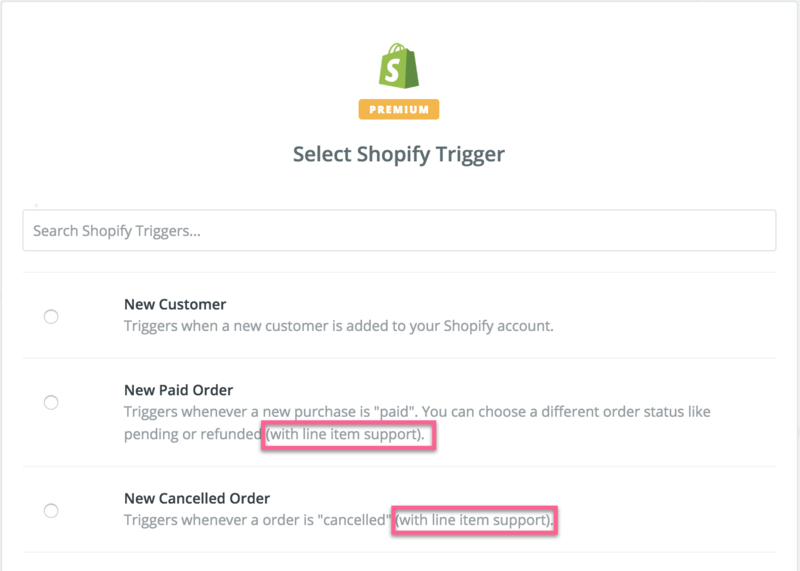 New Customer - Triggers when a new customer is added to your Shopify account. New Paid Order - Triggers whenever a new purchase is "paid". You can choose a different order status like pending or refunded (with line item support). Updated Order - Triggers when an order is updated (with line item support). New Cancelled Order - Triggers whenever a order is "cancelled" (with line item support). New Order - Triggers when a new purchase is made (only open orders) (with line item support). New Order (Any Status) - Triggers when a new purchase is made (of any order status). New Blog Entry - Triggers when a new entry is added to a blog in your Shopify store. Update Customer - Updates an existing customer. Replaces only data that is set. Create Product Variant - Creates a new product variant. Update Product Variant - Updates an existing product variant. Replaces only data that is set. Create Blog Entry - Creates a new blog post. Create Order - Creates a new order (with line item support). Update Inventory Quantity - Updates the quantity of an existing product variant. Update Product - Updates an existing product. Replaces only data that is set. Find Product by Title - Finds a product by a title search. Find Customer - Finds a customer by name or email. Find Product Variant by Title - Finds a product variant by a title search. 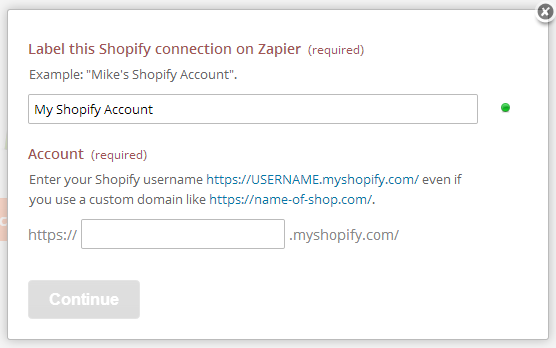 To get started with Shopify, first click to connect a Shopify account in your zap. Next, you'll name this Shopify account. The name can be anything you want, it is only used to help you identify the account inside of Zapier. You will also provide the subdomain of your Shopify account. 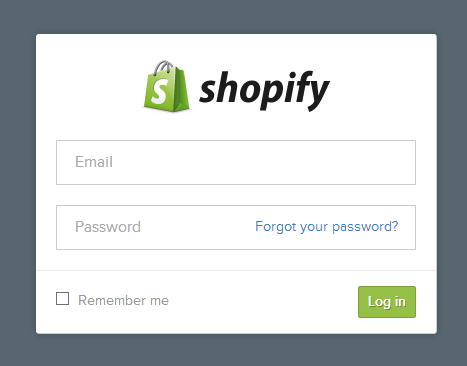 You should then get a pop-up window from Shopify asking you to log-in to authorize the connection between that Shopify account and Zapier. After logging in, you'll get sent back to your zap where you now have your Shopify account connected! In Zapier's Shopify integration, the “New Order,” “New Paid Order,” “New Cancelled Order,” “New Abandoned Cart,” and “New Updated Order” triggers offer line item support, as does the "Create Order" action.